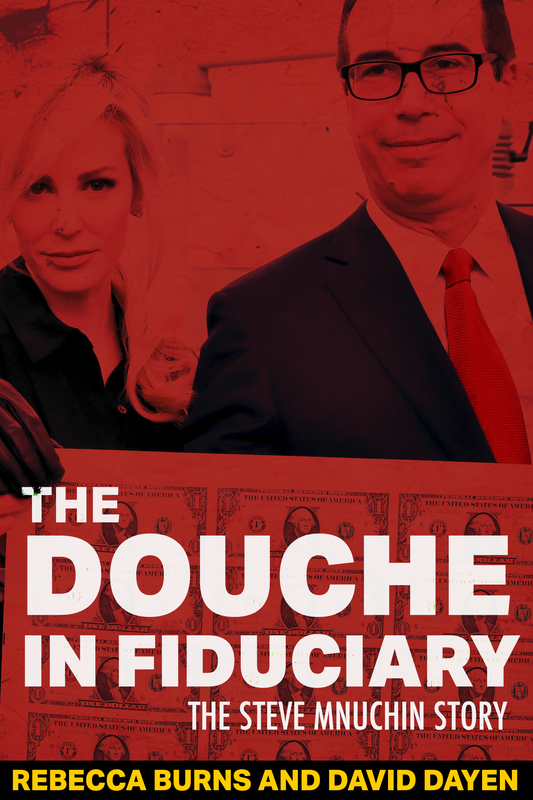 Help us decide the title for our Steve Mnuchin exposé. You may receive updates from Strong Arm Press, the sponsor of this form. What's the best title for our exposé on Treasury Secretary, Steve Mnuchin? It's no secret that Trump's cabinet is full of scumbags and Strong Arm Press is exposing each of them one by one. Treasury Secretary Steve Mnuchin is up next but we're having a little trouble deciding on the name of his exposé. Help us out by voting today! So far, the race has been a landslide: 77% for The Douche in Fiduciary, 21% for Fat Cat, and 18% for King of Pain. The voting closes on Monday at 5 pm.